You can transfer money in to your wallet from multiple payment options. Or from multiple prepaid cards, so if you have 3 cards with 200 on each, you can transfer all 600 to you wallet, for easy use on the website now or later. Place an order for what you want to buy and click the button "Accept terms and go to payment". Then you can select what payment type you want to use, select "Pay Advanced" and make a deposit. 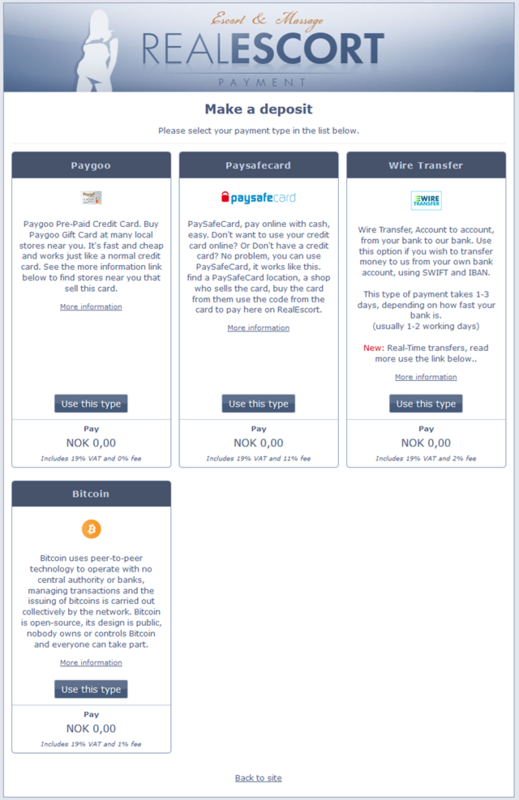 Now select the payment type you want to use, example "Paygoo Prepaid Cards"
And on the next page, we have filled in what you have to pay, but you can change that to the amount on the first card you have you want to use. our site will continue to collect the money you send, until, it has enough to finish the order, then it will finish order and you are done :). Find your wallet in the (bottom of My account tab) or in your login box..
Then you can select what payment type you want to use. And on the next page, you can select how much you want to transfer to your wallet. Example: You have 3 "Paygoo prepaid credit cards" with 200 on each card, and you want all 600 in your wallet. You do this for each of your 3 cards, and other payment types you wish to fund your wallet with. 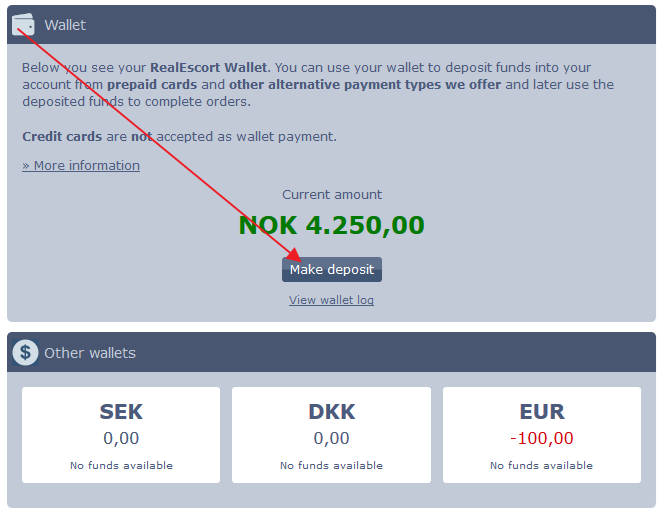 If you have enough money in your wallet you can select wallet, and finish your payment easy. 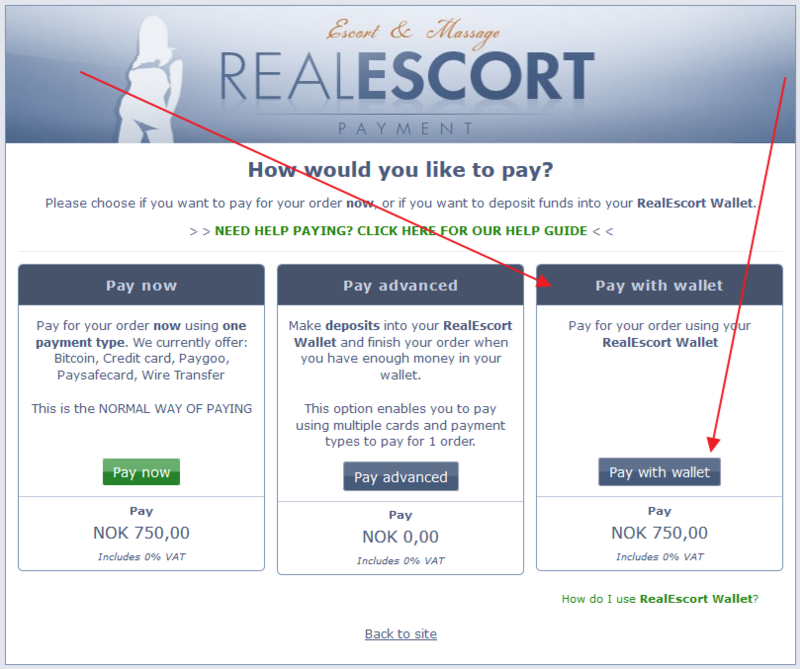 If you don't have enough money in your wallet, website will show you like this. Then you need to go fill more money in your wallet. see above guide for that. You cannot fill your wallet from normal credit cards. 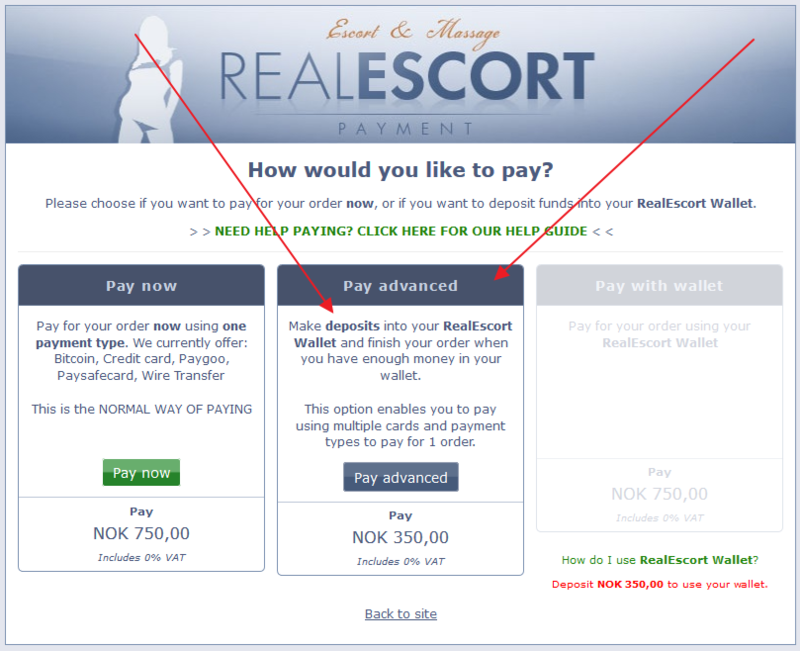 You cannot get money back that you have put in your wallet, it must be used on RealEscort. 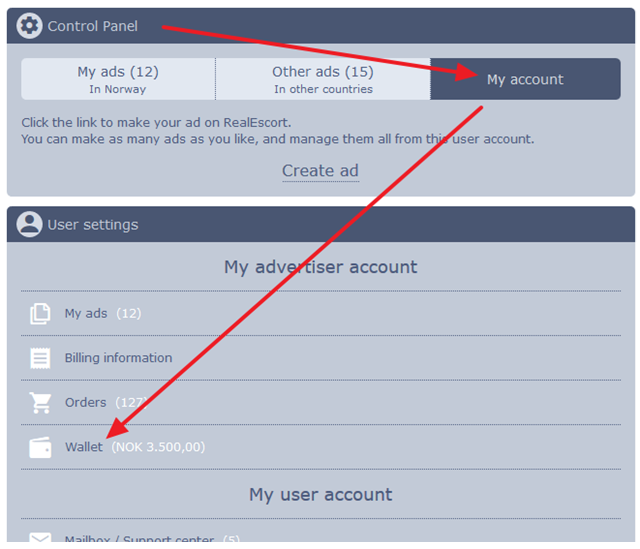 Old accounts that are not used for more than 1 year, will get a warning that system wants to delete the account, if you take no action within 3 months, system then deleted the account and any funds in the wallet are lost. Once money has been transferred into your wallet, its RealEscort Money, we still call it by its currency name tho, like Euro, NOK, SEK and so, on. Se din lommebok her ..